Cathedral Quarter Receives National recognition as a Best British City to visit for short breaks. The Cathedral Quarter has been heavily mentioned in an article for the Best British Cities to visit for short breaks. National Magazine New! 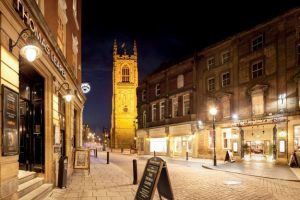 listed Derby as one of 5 destinations that must be visited alongside Salisbury, Manchester, Glasgow and York.